Animals are pretty much the best thing on the planet. Whether you are referring to a house pet, a farm animal or even a fictional cartoon, nine times out of ten, the animal is going to steal the show. 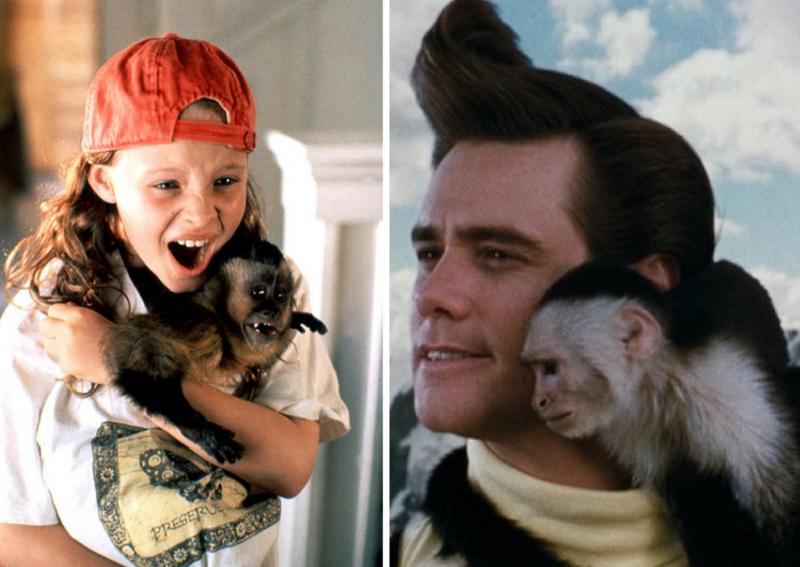 There are of course a lot of dog movies out there that we all know and love, but have you ever realized just how many monkey movies there really are? Maybe it's because genetically we feel so connected to them, or maybe it's just because they are so cute. Either way, monkeys are everywhere and it is AWESOME! Here are some of the great monkey movies you watched when you were a kid, and maybe a couple you never heard of! 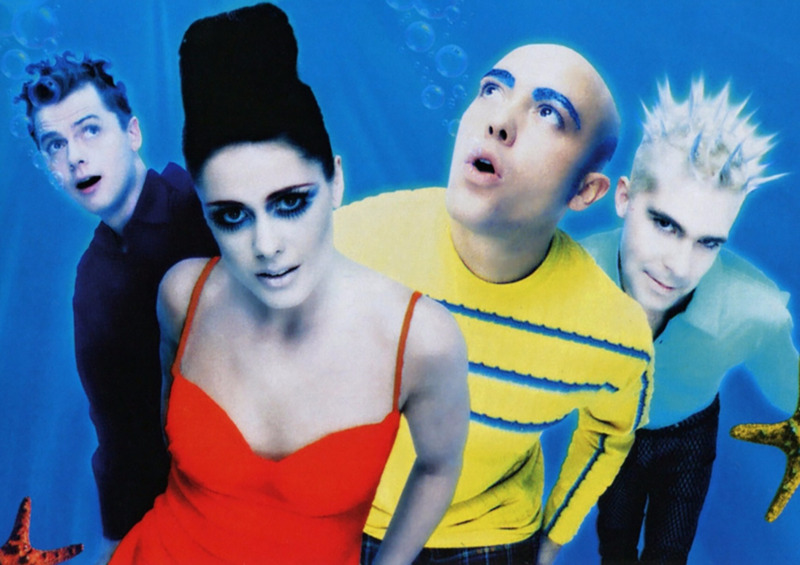 It may not be the highest rated film in the world, but it did star 90s mega-star Matt Leblanc! 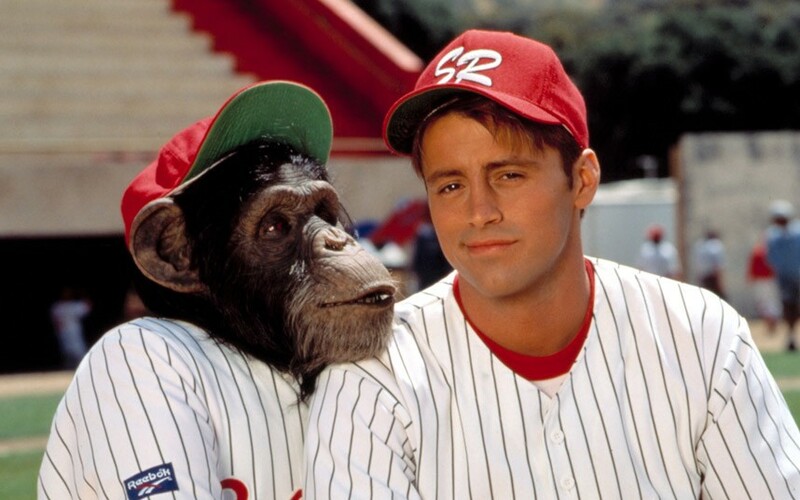 He played a pitcher who has to deal with having a teammate who is a chimpanzee. 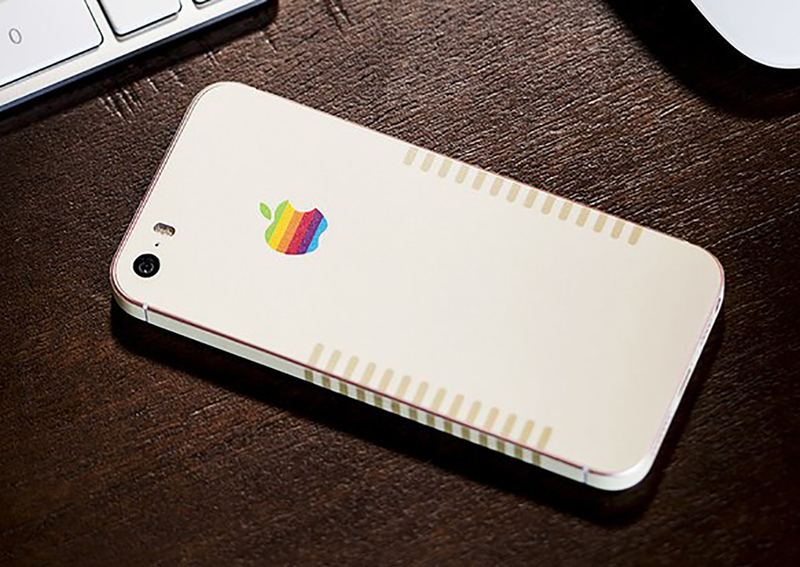 It was just one of the ridiculous concepts of the 90s that we all remember so fondly. 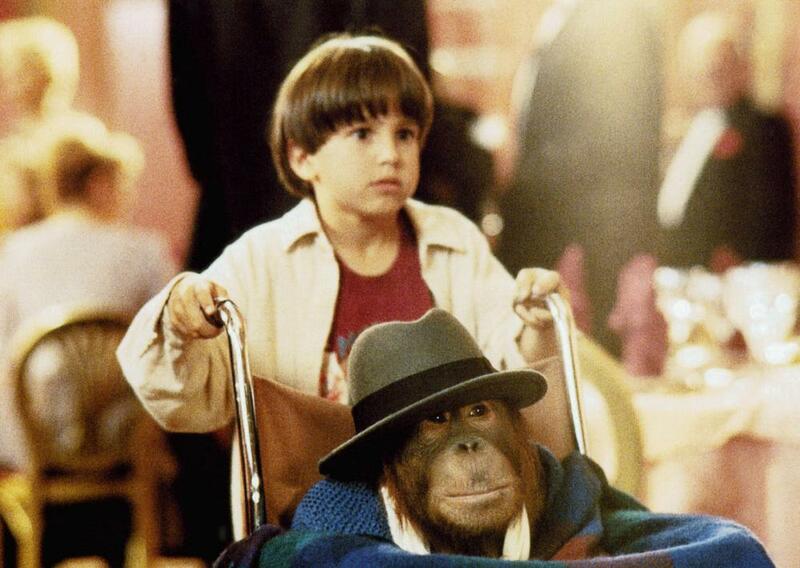 It's the little boy from The Santa Clause... with an orangutan. Dunston (the orangutan) is trained as a thief but doesn't want to steal anymore so he runs away. The little boy tries to keep him safe and luckily everything turns out just fine. It had a pretty impressive cast including Faye Dunaway, who might not want you to know that. A lot of kids apparently found monkeys because they ran away from bad owners, which let me tell you has created some false expectations in my mind. Never once did I find a monkey. 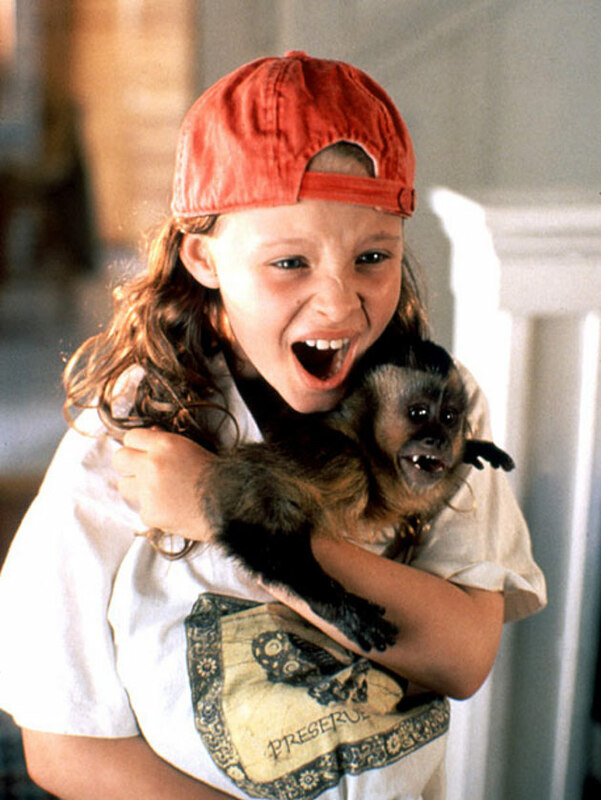 Anyways, Dodger the monkey goes to live with Eva. This is a movie with a giant gorilla which is always a fun touch. He isn't quite King Kong size, but he is quite a large fellow. He does have a soft spot for Charlize Theron though! 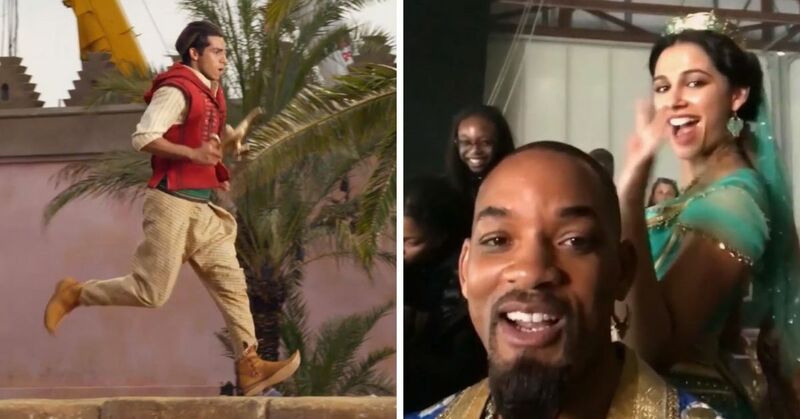 Spike the monkey is the ultimate sidekick. He is hilarious and has better timing than a lot of humans. 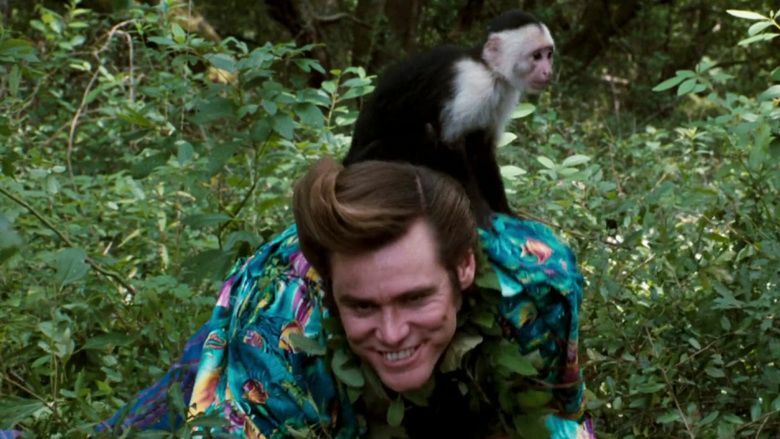 He is such a great partner for Jim Carrey in these super goofy movies. There are even more monkey movies to remember! Check out the next page to see the rest. 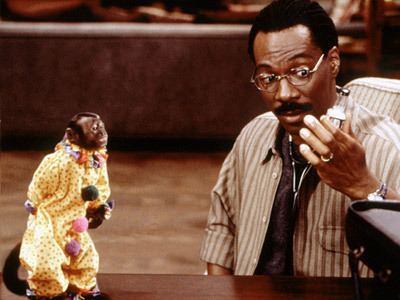 This little monkey had a bit of a drinking problem, but luckily John Dolittle will help him out! I don't know how much that monkey liked his little outfit but he looked pretty adorable. Because baseball wasn't enough, we also needed chimpanzees on ice skates! 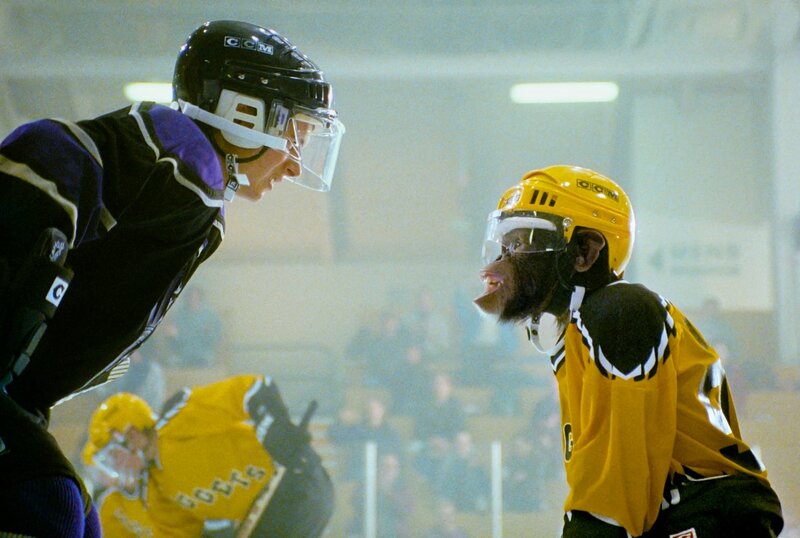 This hockey playing chimp is very great and proves that the tradition of monkey movies will continue on past the 90s. 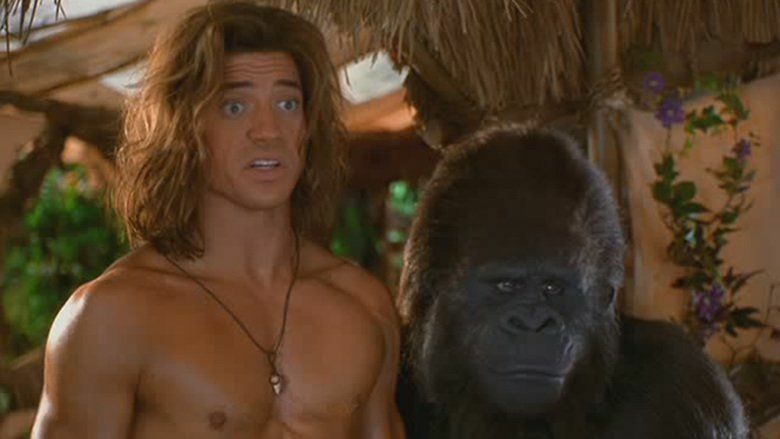 Okay, so they were not really real gorillas, because those don't talk, but they are obviously still main characters. Also, there was another monkey who was a sweet little baby monkey who gets bullied so he asks George for help. 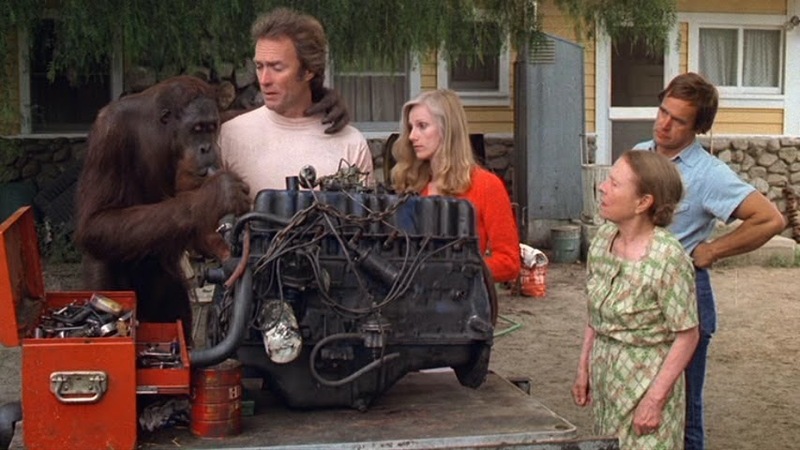 Do you remember this two-part monkey movie saga staring Clint Eastwood? 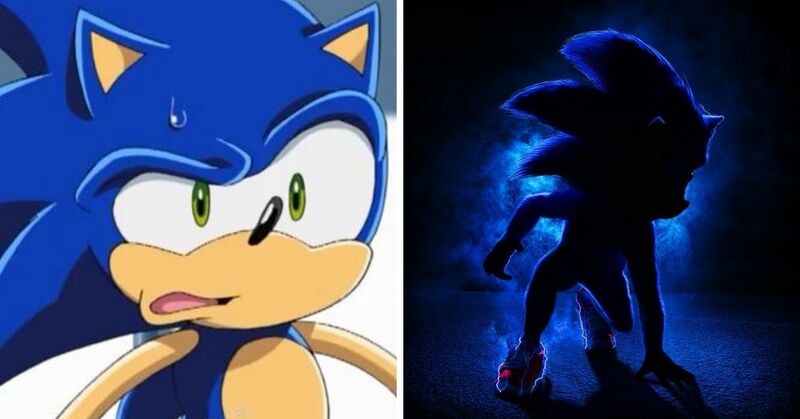 So, you may not remember these movies because it was slightly before your childhood, but that's okay, I don't actually think it was intended for children. 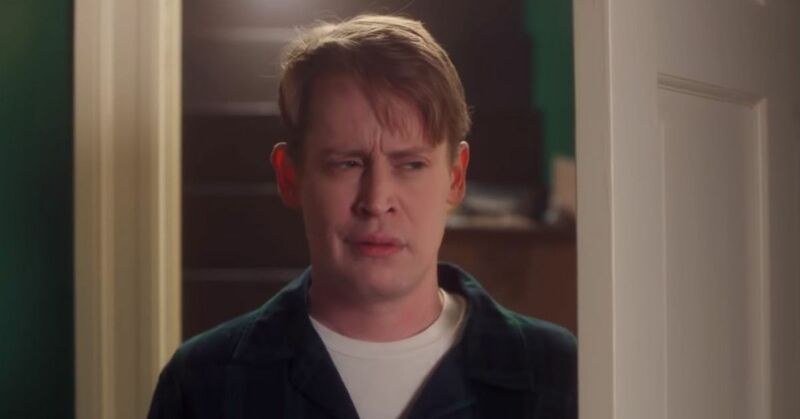 It was pretty mature subject-matter-wise, seeing as how the first one Clint is basically stalking an ex-girlfriend until she finally tells him to go away. 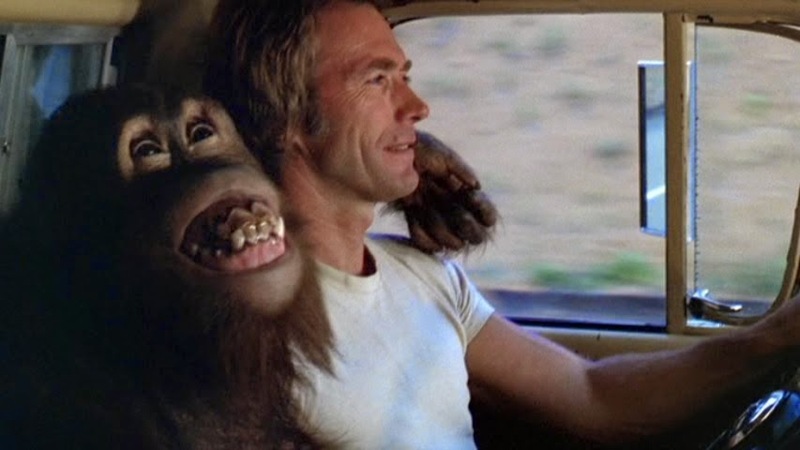 Might be worth a re-watch now that you are old enough and can appreciate how weird it is to see Clint Eastwood driving a truck around with an orangutan. 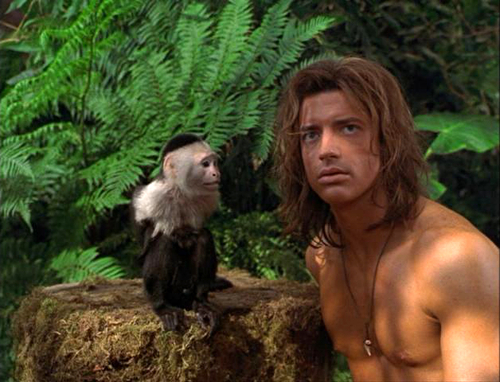 Have you seen any of these monkey movies? 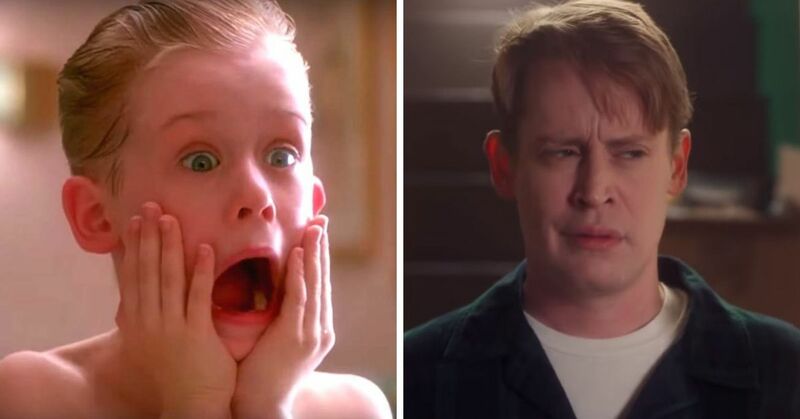 Share in the comments which one was your favorite!